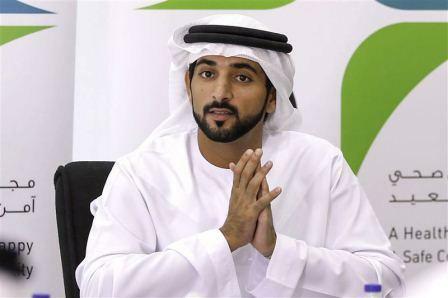 Crown Prince of Dubai and Chairman of The Executive Council of Dubai H.H. Sheikh Hamdan bin Mohammed bin Rashid Al Maktoum issued Executive Council Resolution No. (18) of 2018 approving the new organisational structure of Dubai Health Authority (DHA). "The comprehensive new organisational structure will further enhance DHA’s global competitiveness, enable it to provide high-quality healthcare services and promote a healthier and happier community," Sheikh Hamdan said. Sheikh Hamdan commended the teams that were involved in developing the new structure, the experts and professionals at The Executive Council and DHA and the Supreme Legislation Committee for creating a comprehensive plan for the next phase of growth. The new structure of DHA includes two new entities, the Dubai Healthcare Corporation and Dubai Health Insurance Corporation. It also includes three new strategic sectors, Strategy and Corporate Development, Health Regulation and Joint Corporate Support Services. The Strategy and Corporate Development sector is tasked with preparing and executing strategies and corporate policies to implement the healthcare strategy and the objectives of Dubai Plan 2021, as well as develop a corporate governance framework that supports the vision and mission of the Authority and ensures its compliance with local and federal laws and regulations. The Health Regulation sector is tasked with developing licensing regulations for individuals and establishments in Dubai including in free zones; inspecting healthcare service providers and ensuring they comply with laws and regulations; and preparing and approving frameworks for managing health data in Dubai. The Joint Corporate Support Services sector is tasked with managing the financial resources of the DHA, overseeing the preparation of the budget, setting priorities for spending and revenue collection; and managing accounts as per the guidelines of the Finance Department of the Government of Dubai. This sector is also in charge of attracting, managing and retaining human resources, as well as improving and implementing HR policies. According to the new organisational structure, Dubai Healthcare Corporation (DHC) is tasked with managing and operating all government healthcare facilities including primary healthcare centres, specialty centers, medical fitness services centres, and public and occupational medical centres. DHC has three subsidiary sectors including: primary healthcare services, specialised healthcare services, and medical support services and nursing. The primary healthcare services sector is in charge of developing, executing and reviewing the implementation of policies and procedures related to primary healthcare services; overseeing human resources requirements in this sector, and overseeing the overall quality of staff to ensure the highest standards of healthcare services. The specialised healthcare services sector is responsible for overseeing storage of umbilical cords of newborns; conducting laboratory surveys; tests for diabetes patients, psychological tests, treatment of sterility and fertility, and developing strategies for decreasing sterility rates in the community. The medical services support and nursing sector oversees the DHA’s pharmaceutical services, and is responsible for ensuring that patients receive appropriate treatment and medication. It also oversees the professional development of pharmacists registered under DHA, the development of regulations and policies for the pharmaceutical sector, and lab and radiology services. The new structure supports Dubai Health Insurance Corporation’s (DHIC) efforts to provide better access to insurance coverage and enhance the choice of quality insurance policies. The new structure also includes a ‘Health Fund’ created to raise funds from individuals and private or public organisations to support financially disadvantaged people, as well as research and innovation in the sector, in coordination with the Finance Department and Islamic Affairs & Charitable Activities Department. The DHA’s Director General is tasked with issuing any laws and regulations related to this Resolution, including approval of regulatory bodies within the new organisational structure. The new Resolution annuls the Executive Council Resolution No. (16) of 2009 related to the approval of the organisational structure of DHA. The Resolution is effective from the date of issuance, and will be published in the official gazette.